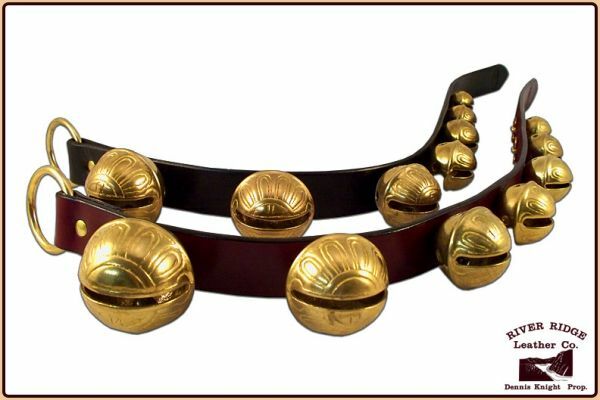 We call these leather sleigh bell straps "doorknockers," because most people like to hang them on the front doors to their homes. The 7 solid brass bells make delightful jingles at Christmastime and all year long. Available in Antique Red, Black, Russet Tan and Green. Dimensions: 32-inches long from top of ring to tip of strap, 1.5-inches wide with 2-inch brass ring. Lifetime warranty for workmanship and materials.